Top 10 van onder andere de beste restaurants, de mooiste bezienswaardigheden en de leukste winkels. Met de uitneembare kaart vind je gemakkelijk de weg. De schitterende foto's brengen Malta & Gozo tot leven. Compact formaat, ideaal om mee te nemen. Diverse wandelroutes leiden je langs de prachtige kustlijnen van de eilanden. This beautifully presented "Insight Guide" featuring outstanding full-colour photography provides all the information you need to enjoy the historic island of Malta. Clear colour-coded sections enable ease of use and provide well-researched explorations of major sights and attractions, such as the spectacular Grand Harbour, the dazzling interior of St John's Co-Cathedral and the idyllic Blue Lagoon. Places of interest are cross-referenced on full-colour maps throughout the guide, whilst additional maps can be found within the front and back covers, providing instant orientation. In-depth features on history, including the fascinating story of the Knights of Malta, daily life and the people of Malta give a rare insight into the culture of this island. This guide also features comprehensive information on eating out, nightlife, shopping, sport, language and accommodation suitable for all budgets, along with contact information and many other useful travel tips. The unique combination of insightful exploration alongside practical advice means that this guide truly is a pleasure to read before, during and after your visit. 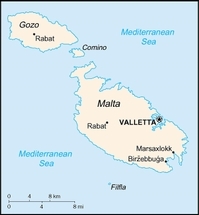 Das Malta-Handbuch leistet eine wertvolle Hilfe beim Entdecken Maltas und seiner Nachbarinseln. Es informiert detailliert über historische Sehenswürdigkeiten wie La Valetta, die einzige Hauptstadt Europas unter Denkmalschutz, oder die Jahrtausende alten Ruinen von Hagar Qim. Sprachreisende werden objektiv über die zahlreichen Möglichkeiten informiert, auf Malta Englisch zu lernen. Es gibt erprobte Tipps für Inseltouren, sei es zu Fuß, mit dem Mietwagen oder mit öffentlichen Verkehrsmitteln. In einem umfangreichen Spezialkapitel werden die wichtigsten Tauchbasen und Tauchplätze beschrieben. Die ausführlichen Hinweise auf Unterkünfte, Verkehrsmittel, Nachtleben und Einkaufsmöglichkeiten erlauben es, die maltesische Inselwelt auf eigene Faust zu entdecken, bieten aber auch dem Pauschalurlauber vielfältige Anreize für die weitergehende Urlaubsgestaltung. Special Activities chapter focuses on the superb diving and snorkelling. Detailed coverage of sister islands Gozo and Comino. In-depth information on local history, culture, art and food. The sweetest accommodation in Malta. Washed by the glittering Mediterranean, studded with mind-blowing ancient sites and surrounded by some of Europe’s best diving: Malta and Gozo are small in size, but big on character. 3 islands, 29 spectacular dive sites, 253km of coastline, 5600 years of history. Clear easy-to-use maps. Extensive coverage of outdoor activities. Comprehensive planning tools. Coverage Includes: Planning chapters, Valletta, Sliema, St Julian’s, Paceville, Northwest Malta, Central Malta, Southeast Malta, Gozo, Comino, Accommodation, Understand and Survival chapters. Packed into this island nation are 7,000 years of fascinating – and visible – history. Updated throughout, this new edition delves into Malta's temples and archaeology more comprehensively than any other guidebook. Packed with historical and archaeological facts it also showcases bird-watching and wildlife opportunities, summer festas, and the less commercialised islands of Gozo and Comino. With new hotels opening in Birgu and across the islands the guide includes greater coverage of accommodation and restaurants. There is more to the island than sun and sea and this guide will help readers to discover the Malta beyond the tourist resorts. Goede kaarten, uitvoerige landsbeschrijving, veel kleurenfoto's en praktische informatie maken dit boek tot een handige en volledige reisgids. 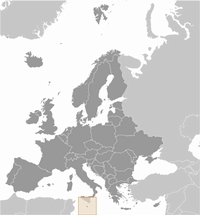 In de Dominicus reisgids Malta staat alles wat je moet weten over de Maltese eilanden: de zonnigste plek in de Middellandse Zee! Malta en het nabijgelegen Gozo hebben een ongekende culturele rijkdom aan kerken, paleizen en andere kunstschatten die in deze Dominicus reisgids uitgebreid aan bod komen. Fietsen, wandelen en duiken zijn andere populaire activiteiten die de gestage stroom bezoekers uit Nederland en België onderneemt. The guidebook describes 33 walks on Malta, as well as other routes on the neighbouring islands of Gozo and Comino. Walks generally range from 3 to 17km, and include Valetta, heritage trails, coastal walks and explorations inland, including the 30km 'Victoria Lines' route between Mgarr and Bahar ic-Caghaq. Year-round walking with old towns including Valetta, fine coastlines and good transport. Easy access, a long history. Guidebook includes all planning information. The Maltese landscape offers rich rewards for those who enjoy exploring: interests in ancient and modern history, military and ecclesiastical architecture, geology, and flora are all well catered for. If this will be your first visit to the Maltese Islands, sampling a few of our walks and tours will be a perfect introduction. Large-scale topographical walking maps (scale 1:50,000), fold-out touring map. Timetables for local transport. Unique free on-line update service with specific route change information. This new 6th edition has been thoroughly updated to reflect changes that have taken place since the fourth edition was published. Maltesisch ist eine semitische Sprache mit einer auf dem Arabischen basierenden Grammatik und einem aus vielen Sprachen zusammengesetzten Vokabular. Glücklicherweise wird das Malti in lateinischen Buchstaben geschrieben, sodass man sich nicht mit einem anderen Schriftsystem auseinandersetzen muß. Das heutige Maltesisch wird hauptsächlich getragen von mittelalterlichem Sizilianisch, dem sich später Italienisch und in neuerer Zeit Englisch hinzugesellten. Es verfügt über einen reichhaltigen Wortschatz, der weiterhin ergänzt wird durch Lehnwörter aus anderen Sprachen, um eine Anpassung an moderne Zeiten zu gewährleisten. Obwohl fast überall Englisch und auch Italienisch verstanden wird, ist es erstaunlich, mit wieviel Freude und Ermunterung Malteser selbst die winzigsten Versuche von Ausländern, in ihrer Sprache zu sprechen, unterstützen. Fehler werden gern verziehen, und notfalls kann man Wörter, die man nicht weiß, in Englisch oder Italienisch einflicken.